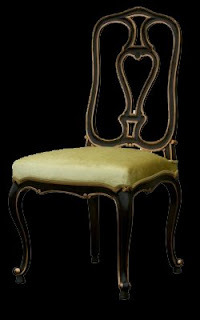 Dimensions of Italian chair: 100 H x 57 W x 45 D cm. 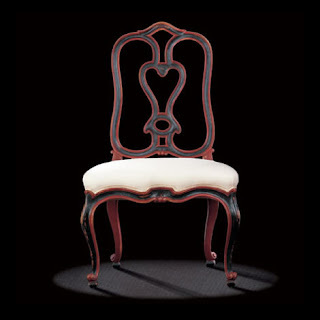 This antique Itlalian Venetian Chair Arising from the aesthetic canons that penetrated Northern Europe (including England and the Netherlands), this Italian Dining Chair is reproduction furniture from Northern Italy differs in the shape of its leg ends. 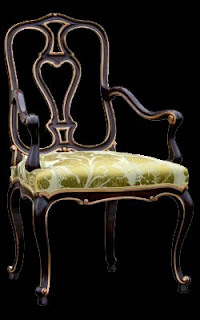 The quite remarkable design of the back of this antique furniture again adds to the elegance of the curves of the belt and of the feet. The rest of the seat is restrained in contrast to other models originating from this republic. 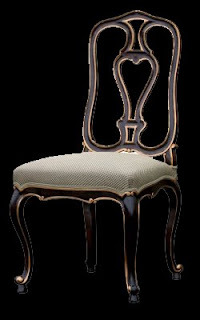 These are great examples of antique Italian dining chairs. I'm in the market for some, but I already have a set of antique Victorian dining chairs and don't have much room left in my house!